The following article is about Dragutin Tadijanović (1905 –2007), one of the most popular and influential Croatian poets of the 20th century, and was written by Jure Kaštelan (1919 - 1990), also one of the most important Croatian poets. The article was originally published in the Bridge Literary Review (number 3 from 1980). In his autobiographical notes „How and When I Started Writing“, the poet Dragutin Tadijanović brings us, in his zeal of rememberance, back to the primary realm of poetry, to childhood, to the abyss of unspeakable feeling. Aristotle's pure essence „tò ti en einai“, is revealed in its real existence in the physical world, because to the poet essence means: to be live in the here and now, to feel, „to let one's life flow into poems“. Tadijanović wrote his first poems when he was thirteen years old. His work was published under the name of Margan Tadeon in 1922 in „Youth“ (Omladina), a Zagreb high school paper. Six years later (1928) his poem „The Wings of the Pigeons“ was published in Begović's „The Writer“ (Književnik) under the pseudonym of Tadeon, and two years after that (1930) he signed his own name when „A Poem to my Heart“ and „Simple Poems about Lilacs“ were published. From that point on unique and unrepeatable works of Croatian poetry were written which are so individual and original that we even recognize them unsigned. Tadijanović writes into his poems the zeal and cinders of the same flame, and rhythm of the hand which writes the name: Dragutin Tadijanović, - as a verification of his own experience. For a long time the doors of literary journals were closed the Tadijanović and his poetry. As soon as his poems were presented to the public critics termed them classical. The poems that he wrote established a direct communication with the feelings of the readers and with the context of life. Tadijanović’s poetry effects us with its original magic, it overcomes the destructive wings of time and over the decades it has spoken with a simple natural strength and suggestion, ripe as an ear of grain, enclosed within its internal crystallization. Poems are real beings like fields, like the sun and the trees. A language is not a means but the essence of that being. There are poets who hide the paths of their life. Tadijanović discloses them. There are waters which spring from stone, from the earth, and those which through natural metamorphosis fall from clouds like hail. Tadijanovićs poetry is original and direct. In many of his prose texts and commentaries the poet reveals to us the basis of the poems in real life and the real verification of his poems, of certain verses, images and words. He does not make things up and almost all that he speaks of really happened. Poetry provokes life. The world within the poems, out of which the material is made up from, was found and taken from real experiences. This fact, which is so obvious and evident, misled some of the critics of Tadijanović's poetry to an understanding of mimesis as a descriptive imitation of the real world or to the search for poetry in biography. Rastušje, the village where he was born, became to them a synonym for Tadijanović’s poetry. And this is where the border is. Rastušje, a small Sltvonian village, is the scene of the poet's childhood and youth. Taken on its own it is neither poetical nor non -poetical. That same village, when it became a word in his poetry, was placed into a new context, into the realm of poetry and in that context it gets another layer of meaning and not in its specific environment, in its previous context. Rastusje, as a real place, as a scene, brought forth the first images and the first authentic experiences on the part of the poet. For a poem to be written, life is needed, a man of flesh and blood, and a hand which writes. Without the poet there is no poetry, just as there is no life without parents. A poet does not live in the infinite but in real, objectively assigned, temporal space and time, in his body. It is not superfluous to be aquainted with the biography of a writer or poet because life is a provocation of every thought and act of man. Man has not invented a form in which the analogy of nature or reality has not been retained. A poem is a diary, not a diary of life but of creation. If our lifetime can be represented by a horizontal line, then time in a poem can be marked only by a vertical line. The biographical line takes place in objective, mechanically measured time, and the vertical represents the moment of creation, a pure act, and that is time which is mechanically unmeasurable, it is subjective time, the time of the imagination. No more do I hear the words, dear and familiar. Who listened to those words and their meaning? Ne čujem više riječi drage, znane. Koji je slusao njihov govor? Tadijanovic was born on December 4th. 1905. The first part of his biography is made up of his early childhood days to the time when he started to go to primary school. Those were the days of „the hunt for the rainbow“, in the unknown, undisturbed bottom of the bottomless well, the word was spouting and a poem was being conceived. That was the first provocation of life, the first clashes, conflict and the first horror. ls running in the rain, up the hill to St. Vid. Frightened because of the thunder, are crouched up in the dark. Then he will take them home and slaughter them. Kako po kisi trći, az brdo, k Svetome Vidu. Od grmljavine preplašeni, u mraku šćućureni. Onda ih nosi doma i kolje. That is the birth of fear, the first feeling of tragedy, alienation and hardship. The light is in the heart, and the scene and time are like a baokground to this chi-ldhood which becomes a dark, dark age and all the time it gets darker. To climb into the tower, among the pigeons, into the dark. U toranj se penjati, med golube, u mrak. The second part of his life consists of the years that he was at school, from 1912 to the time when he matriculated in September, 1925. That was the time of the II World War (1914- 1918), the October Revolution (1917), and the making of the kingdom of Yugoslavia. Tadijanović attended the lower primary school in the neighbouring village of Podvinje, and higher primary school and gymnasium in Slavonski Brod. In this period of his life Tadijanovié was a village boy who started down the difficult road of education which was filled with hardship, with walking every day on the dusty muddy road or icy path which he walked down in the sun, in the rain and when it was windy frosty and in heavy snow. That continual circling from Podvinje, and later from Brod to Rastušje went together with a feeling of gnief and uprootedness, the slow fdriftifng away from the lump of earth where he was born, a sense of loss, ruin and death. It is the loss of a thing that makes you love it more. Between love and falling apart, in between life and death, in between the intransience of nature and the transience of man, a cricle of lonelines is born, the tragic internal conflict sprouts and the duplicity of being. But it is precisely the feeling for the tragic element in life which brings a poet to birth, just like the clashing of flint and steel provokes sparks. The theme of alienation is increased with the biological changes and the fmaturing of the emotional anid meditative concept of the world. At the bottom of all the images and metaphors, at the bottom of the suffering, the days of childhood flicker and the light of the hearth which has been lost. Koji se više nikad neće vratiti? In order that his native village, which is to him the totality of being, would not be lost - poetry was born, an act which transforms the transience of things into the intransience of poetry. It is in this period of his life that the first important and prolific chapter of his poetry begins. Up to the time when he was twenty and completely unknown to the public, he wrote a great number of poems which were later compiled in books and anthologies. In „Chronology“ the author enumerated ninety five titles of poems which he wrote at that time. Today it is impossible to speak about Tadijanović’s poetry without refering to the following poems „Wandering“, „Loneliness“, „A Poem about a Quince and a Bird“, „Night without the Lombardy Poplar“, „Open the Door for Me“, „The Tall Yellow Wheat“, „The Leaves on the Oak Tree are Rustling, are Rustling“, „The Autumn Letter“, „What the Lips of Tina Deon are Saying“ - these are just a few of the titles of poems that were written by Tadijanović in his early youth, in the days when nobody knew nor could sense that a new chapter in Croatian poetry had already been created and started. Tadijanović's early poetry has all the main characteristics of his poetical works: the theme, rhythm, language and metaphores. The third period of his life begins with his arrival in Zagreb in 1925 when he started studying. This phase of his life ends in 1945. Tadijanović enrolled to study at the Forestry Faculty which he left (1928) and then started to study at the Arts Faculty (he studied national literture). He received his diploma from the Arts Faculty, University of Zagreb in February, 1937. The paths that he went down and the countries that he visited give an internal dimension to his poetry, a certain detachment and measure. His years as a student were a time of poverty, misfortune and suffering. „With what impatience I waited for the holidays to come so as to go back home and eat my fill of bread, milk and fruit! (Is it necessary to mention that in my dear Zagreb I had had enough of starving?) My family lived in Rastušje: my father, mother together with my sisters and my brother who had tuberculosis...“, this is what Tadijanović wrote when he spoke about how his poem „Deep in the Night, in a White Winter's Night“ came to be written. The hardship of life, social injustice and the harsh insensitivity of the asphalt geometry of the city are the themes and fate of many generations of our intellectuals who were of peasant origin. In Tadijanović's poetry, in his prose works, in his autobiographical data, are outlined and forever preserved the poet’s biography. The life of the poet is outlined and preserved in his poetry, his prose writings and in his autobiographical data. The poet emphasises the autobiographical character of his poetry by introducing direct facts into his poems, like a painter, who instead of colours introduces material from the real world into his paintings, Tadijanović's poems have not only the year marked but also the day and often the hour when they were written. These facts become an integral part of his poetry. Poetry is not only a biography. In this third period of his life the poet presents himself to the reading public using his full name. From that time onwards he is indelibly present in literature with his whole life and being. Towards the end of 1930 his work appears in a collection called „The Lyrical Poetry of the Six“. The following year, in a publication that he himself financed, his first book – „Lyrical Poetry“ was published, after which the following came out in print „The Sun above the Plowed Fields“ (1933), „The Ashes of the Heart“ (1936), „The Days of Childhood“ (1936), „The Sorrow of the Earth“ (1942). At the beginning of his third period (1928), two events from his life are emphasized: the suicide of one of his childhood friends, and the serving of his time in the army in Bileća, Herzegovina. This period ends with the darkness of the war, the suffering of millions, the death of his friend Ivan Goran Kovačić. Silence replaced poetry. The fourth period of his life started in 1945 and it represents the apogee of his life and work. After the years of silence poetry was born again. and then I sank into barren muteness, into silence. i ja tako bijah utonuo u pustu šutnju, u muk. In this period Tadijanovic continued his poetic opus which was published in the following collections of poetry – „Poems“ (1951), „An Intimate Exibition of Drawings from Rab“ (1955), „Harvest Holiday“ (1956), „The Ring“ (1963). Apart from his poetic works Tadijanović was also active in the field of culture. His work as a director should be particularly emphasized. As the editor at Croatian Publishing Firms (later named „Zora“) he edited „The Works of Ivan Goran Kovačić“, and established a collection called „The Works of Croatian Writers“; in the Home of Croatia he edited a collection called „Croatian Poets“. He is the editor of „The Complete Works of Kranjčević“, „The Complete Works of Tin Ujević“ and „The Complete Works of Poetry of Vladimir Vidrić“ at the same time he was a member of the editorial board of „Five Centuries of Croatian Literature“. As the director of the Yugoslav Institute for Literature the Academy of Science and Art, together with his collaborators he organized more than several exhibitions on Croatian writers. He gathered together, saved from ruin and made presentable to literary historians and critics many works of our literary heritage. Tadijanovic has written hundreds of pages of commentary and notes that are included in particular works. I have only mentioned a part of the work he has done. Tadijanović’s critical tests show a few characteristics of the writer that he is, but First of all they show an unselfish effort and love on the part of Tadijanović towards the literary works of others, towards every small detail which concerns a specific writers text. While editing works of Croatian literature Tadijanović, with his commentaries and notes has established and developed the principles and methodology of literary criticism. Tadijanović's translations of European poets hold an important place in his opus of poetic works. He translated: Goethe, Holderlin, Novalis, Heine, Nezval and others. Tadijanović wrote his prose texts in the fourth and last period of his life. We can divide his prose works into two groups. In the first are fewilletons, autobiographical reviews and answers to questions that were posed by journalists and literary critics. In the second group are his literary works of prose. Tadijanović's prose works were established long ago and some have been published. His writings promise even greater prose works, some of which are already being written in these last few years. When speaking about the recognition for his work that Tadijanović has received, the three literary awards that were presented to him need to be mentioned. They are the „Zmajeva“ Award, the City of Zagreb Award and the Vladimir Nazor Award for his life work. The bravest act in art is always - to be individual. This isn't a question of national choice but a law in the fire of one’s being. At the time that Tadijanovic wrote his poetry the social and intelectual concept of the world were changing. The twentieth century had been put out to sea. Art was searching for new patterns of expression. From the science laboratory the word experiment passed over to poetics and poetry. The disintegration of poetry which was started by Baudelaire and Rimbaud was continued by the revolutions in poetry - symbolism, futurism, expressionisin and surrealisim which were feverishly searching for new resources and ore, throwing the ancor into unexplored areas of the spirit and matter. In Croatian poetry the realms of Ujević's and Krleža's works are still growing, and the realm of A. B. Šimić’s poetry was made definite by the death of the poet. At the same time that Tadijanović's name appeared in literature, the poets Gustav Krklec and Dobriša Cesarić, who are often put side by side with Tadijanović, had behind them a whole decade of poetic activity which had also been published. There is an internal consistence, an unbroken thread which is the characteristics of all of Tadijanović’s poetry from the first to the last verses and prose works that he has written. This can be put in one word: simplicity. The body of criticism that has been written about emphasizes this, all the critics who wrote about him agree upon this. This is precisely the point where the borderline is and where opinions diverge. Individual critics give this word warious meanings. To some it is a synonym for naturalness, and others equate simplicity to the feeling which its the opposite of intellectual thought. Some look for simplicity tin the theme, and others yet in the form. Simplicity is that which is not complicated, that which is indivisible, without parts. In metaphorical discussions simplicity is ascribed to the human soul which is immortal in comparison to the body which disintegrates. Demoorit ascribed simplicity to atoms and Leibnitz to monades. in the context of real life that which is simple in not complicated, and a man who is simple is a man who doesn't go along with fashion and is not distorted. In an antithesis of - classics and romantics - simplicity is a character of that which is classical because it rejects what is superfluous and aims at clarity and measure. All that is great is simple. Complexity is not found in chaos but in the mature crystallization of form, in simplicity. And there is nothing that seems more suggestive than the words-simple and pure, virginal, seen and said for the first time. When we again emphasize the simplicity of Tadijanović's poetry we are confirming its originality, its mature fullness and suggestiveness. Its ‘internal essence remains inaccessible. The meaning if this idea needs to be verified in poetry. When the second book of Tadijanović's poetry appeared, Antun Barac, the Croatian literary historian, expressed his opinion which time has proved to be true and which has also been elaborated on: „Some of Tadijanović's poems are classical works and already belong to the Croatian heritage“. Tadijanović' poems have passed from books to anthologies of Croatian, Yugoslav and world poetry, they have been translated into many languages. 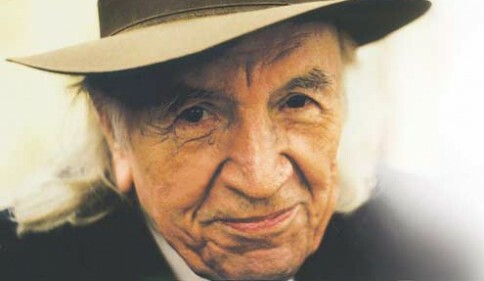 A large number of critical 'reviews have been written about his poetry by Josip Bogner and others like Vladimir Nazor, Ivan Goran Kovačić, Slobodan Novak, Nikola Milićević, Pavletić, Stevan Raičković, Tomičić, Šoljan, Ivančan and Donat. Critical Works that are written at the time of a poet's life can not be all inclusive because they speak only about a part of the poet's opus. They speak about one poem, about one aspect and horizon which is revealed with each new verse. According to the period in which Tadijanovié wrote his poems he is spoken of as a poet who wrote in between two wars. That period of time has been broadened by the important works which are being written by Tadijanović. It is not only because of the number on poems Tadijaniović has written but also because of their quality and new dimension that he is not confined to the period between the two wars. Important cyclus such as „Intimate Drawings from Rab“,„A Man in Paris“, „The Guest in Vučedol“ and poems like „Goran's Epigraph“, „The Shell“, „The Splendor of the Sea“, „The Ring“ were written after 1945 and without referring to these poems it would be impossible to speak about his poetry. The critics who wrote between the two wars speak of only one part of his poetry. The majority of critics speak of Tadijanović as an original and important poet, but there were those (only a small number) who negated his poetry, but is there any important ‘poet about whom the critics do not have conflicting views? Out of all the critical works written about Tadijanović, I would like to speak about Ive Kozarčanin's and Ivan Goran Kovačić's. Both Goran and Kozarcanin presented views that were later affirmed and developed in literary criticism. They spoke of the orriginality and new poetic expression of Tadijanović's poetry, about the organic wholeness, emotional and expression, about the unity of sound and metaphore. Through his poetic vision Tadijanović had a strong and direct effect on them. The works of literary criticism on Tadijanović's poetry are growing all the time and are posing new questions. Together with articles that are written on special occasions, talks and interviews, there is an ever increasing number of essays and writings that interpret the poet and his work according to new criteria, so that a presentation of criticism appears together with a presentation of his poetry (Dubravko Ivančan: with the „Harvest Holiday“; Branimir Donat: „Time as the Poet's Imagination“ 1961). Tadijanović's poetry has established a imeans of communication between generations. In poetry there are no great or minor poets, there are only, to quote Croce’s thought, poets and those who aren't poets. All typological divisions seem superfluous to me. Tadijanović is a poet among poets and his verses are clear and individual. He is a poet who writes in the tradition of the Croatian poetic heritage. The axis of Tadijanović's vision of the world is the feeling of the transience of time, suffering and death. Death is always present in his poetry. ,He equates us with livestock which is for slaughter. On the road towards his deeper self, in the depths of his own being, the poet experiences death as a discovery of his own being. The presence of death, the touch of death brings to birth a tragic attitude towards life and leads to alienation: to the abyss of nothingness or to the infinity of eternity. And that is not where a poet should be. In between nothingness and eternity the alter ego is born and also a poem, the scream of the' whole being. Death is present in Tadijanović's poetry as something unavoidable, as a universal cosmic law, as a historical, social evil, as a „murderous rattle“ of those „who endlessly sharpen their knives or slaughter“, and as an act of suicide. Death also comes in the form of Eros who yearns for totality of perfection. The duality, the duplicity of being is a psychological trait of a man who is at the crossroads of two worlds, who is at the beginning of a civilization that is coming into being. The muffled thud of social conflict, the uproar and transformation, reverberates and speaks through Tadijanović's verses, and it presents itself as a conscious point of view in that part of his poetry which is concerned with essentially human feelings and social themes. Physical suffering, hunger and the difficult struggle through the injustices of life, the conflict of the village and the town, opened the way for the young man to the understanding of other people and the pain that others feel. It is when the poet is most subjective that he is nearest to the mutual problems of other people in the world. 'Words in the first person are not only the words of the poet but of the reader, of man. On one level poetry is a biography of the poet, for in his poems his experiences are made eternal. In a broader meaning a poem is the biography of man, a biography of whole generations, a biography of the language and people that the poem sprang from. Time in a poem is not mechanical time, but a moment of eternity, a time of creation or as Tadijanofvié says: the time of the heart. There is not a theme which is poetic on its own until it has been transformed by a deeper yearning by the vision of the poet. The theme gets its meaning in a poem. Tadijanović crystallizes the way he experiences the world in scenes of mature: ripe fields, the sun above the plowed fields, the forest, an oak tree, a house, a stream, the rain, a pigeon's wing, a quince, a bird, dusk, night, daybreafk, the sea, a rock, the pavement, the big city, the remains of ancient civilizations. In these images the poet expresses his deep yearning for simplicity and harmony. On his travels down the road of life which takes him to Florence, to Paris, to the regions of the soul. He carries within himself the nature and scenes from his birthplace in Slavonia which are not themes but the measure of things, a projection of his being into the totality of the universe, an enrootment to the primeval sources of life. Carried along by his vision of harmony Tadijanović returns to simple and every-day things, to the childhood of life and to the childhood of nature. To the dissipated and discordant times the poet has opposed the simplicity of words which join together the classical „one and all“ which shows that everything is mirrored, recognized and fused together. It shows that a verse is a plowed field in summer, that the starry cosmos is a musical instrument, and that the pain of man is in the song of a bird, that love is death, and that the same law which governs man governs the ant and the universe. („A Poem to a God“, „The Scream from the Desert“). The poet carries within himself the measure of all the things an-d experiences in the world. A return to the sources of life, a return to the forgetfullness of the world“ - that is what is new and modern in Tadijanović's poetry, its strength and its uniqueness. The philosophy of a poem is not in thenmeaning of the idea but in the unity of expression. Tadijanović is a poet who writes free verse. His poetry is often compared to the poems of Antun Branko Šimić. Such a comparison can not be maintained because Šimić and Tadijanović are two quite separate individual poets, and it is precisely free verse which is an expression of individuality. We can analyse a verse as an objective system of signs, as a means of an organization of vision, as a meaning. The meaning in Tadijanović's can not be spoken of on its own without saying something about his experiences and his concept of the world. His main aim for simplicity is shown in his poems which are based on breathing and naturalness of expression, and on the structures of the spoken language. Diachronic morphology brought fus to Sumer and the Biblical paralisms, to Horner and Greek poetry, to Francis of Assisi. The only sure path is to keep to the spoken language, on the real basis of the Slavonian village, on the richness of the national language and musical expression. A verification of this can be found in the cycle „The Days of My Childhood“. The poet introduces into his poetry the folklore magic of a poem the syntagm of speech, a tombstone with a date. („My Toys“, „My Grandmother is Blessing the Wheat“, „A Postcard to the Battlefields“, „Youth to the Homeland“). It has already been pointed out by Nazor that Tadijanović's poetry „suits the context of the poem and is in harmony with the feeling in the poem“. This emphasises the originality anid authenticity of a poet who succeeded in attaining a harmony of rythm and meaning in his verse. Petar Guberina, in his essay „Sound and Movement in Language“, he observed the relation between the spoken language and artistic expression in the poem „A Postcard to the Battlefields“. Guberina says that in a couple of his poems Tadijanović employed the verse form and the prose form at the same time, so as to give his various thoughts and feelings various forms of rhythm. In this way the verse and prose also become part of the same whole: rhythm (meaning -), expression, in which the verse and the prose are a result of various rhythmic contexts. An example of this is „Postcard to the Battlefielids“. It is difficult to treat as prose a letter of a child who doesn’t yet know how to spell and who writes what his grandmother says. That is a picture, an imprint of a naive mentality, a state of consciousness, a psychological fact. Guberina emphasises the various forms of rhythm as „parts of the same whole“. This view of the organic harmony „coincidenta oppositorum“ can be verified by many examples from Tadijanovic's poetry. The first one who pointed out the formal perfection of Tadijanovic's poetry was Goran Kovačić and he claimed that „their author is our best expert on the architecture of a poem“. Goran quoted many poems which backed up his opinion. If we were to separate sound and ‘rhythmic intonation from the semantic structure, an instrument of expression, which was complicated in detail but simple when taken as a whole, would be disclosed. Many of Tadijanović’s poems were written in a strict syllabic framework. The decasyllable is very frequent. It systematically goes through the whole poem, for example, in the nnrhymfing Sonnet „Dreams Are Dreamt by Old Olive Groves“ of in a combination with octosyllabic verse in „When I Die“ in the harmony of images in „Deep in the Night, in the Long Winter Night“. Rhyme is very often present as a rhythmic impulse, which is natural and seems to be there by chance, like a sound which gushes from the depths of oblivion. The main elements in Tadijanović's poetry are accent intonations of the whole, repetative semantic paralisms and silence. Silence, a pause, which the poet achieves through intonation, through a graphic lay out of his images and meanings, or by an unexpected question, a reversal of thought create a united strength of harmony. The speach of silence, the whiteness between the verses, suggest the presence of a harmony that can not be heard nor seen. Tadijanović’s free verse carries within its veins the ancient oral tradition of the common people, the expression, the measure which makes equal all that is alive or dead in the circle of continual changes („My Manifest“, „The Ring“). The primeval structure ofthe collective consciousness and the subjective individualistic vision, the visual structure of the poem, can not be equated, but they can be confronted as related systems. Claude Lévi-Strauss in his structural anthropological essay La pensée sauvage (The Wild Thought) establishes a continuity between archaic „primitive and civilized thought“. In a poetic manner this is what Tadijanović carried away by an emotional current, does in „Night Covers the Town“. In confronting the structures of two civilizations --the renaissance in Florence and rustic Rastušje, the hands of Michelangelo which created the eternal „Dawn“ and the hands of the harvestens in his Slavonic field of wheat, eternity in natural birth - he expresses, in the transience of everything, in the quiet of sleep, his primeval vision of 'simplicity and harmony. Clumsily place my disconected thoughts in quiet sentences. Turn off the lights. Sleep. Sleep, my dear one. The wind, and the gold and bones. Raskidane misli redam nevješto u tihe rečenice. In these verses one can hear Dantels terzets reverberate. T'adijanović’s poetry is in the stream of thought and feeling which we call European, and which is based on Soerates and Homer. Nothing originates from nothing. The world which he saw and the way he formed in into a poetic expression is solely his own and in the context of Croatian literature it is new and unique. Commenting on his poem „The Days of My Childhood“ the poet speaks about the creative process, about the crystallization of a poem: „I think that it is characteristic of my work that I sometimes start off from a main image as the essence, the central crystallization. I do not think up a theme, I simply see concrete images in my spirit, in nature. And they, in their reciprocal relationship, make up the meaning or even the subject and at the same time retain in themselves a deeper more important meaning. Some poets start from that ’deeper meaning’ and move towards an image. I do the opposite. I start off from the image and I do not always think of some special meaning. The meaning comes of its own, because it organically passes through the image, from a number of images...“. The image is the core of Tadijanović's poetry. Not a metaphor, but a specific image „in the spirit and in nature“. An image is either a conception of an object or the awareness of some object which has dis- appeared or does not exist any more. We can see it through out imagination or with the inner eye, the eye of the spirit. In Tadijanović’s poetry it is almost impossible to find a poem which does not have an image at the core of it. „The Ballad of the Slaughtered Sheepe is a specific example of the gradual stringing of images, as if Einstein had placed them together. That is a book of pictures wich have a defined frame and perspective. But when I think of a poem, when I listen and look at a poem in rememberance, the images disappear and the feeling of tragedy, not for the slaughtered sheep, but for man, comes to the surface. Images are not the purpose but the relationship, the measure of the world. The sense comes from the image, from the movement and the relationship between the images. The majority of the images in Tadijanović's poetry were seen by him in nature, he does not copy but recreates „Les images .sortent du propre fonds humain“, the images spring from the depths of the human being, as Bachelard said. Images are a part of man: h i s truth and not s o m e truth. The form of eternal proportions, the highset act and measure of man. Our talk tis only an establishing of a relationship. If all suppositions were wrong, poems would continue to beunchanged in their internal measure. The words would continue to speak, because a word is first of all an expression. As basically human the word expresses man's loneliness. The word is a light that is relit anew. In order that it can be maintained in the wind, we must protect the small and flickering flame. We must protect it with our palm and with our breasts because of ourselves alone. Dragutin Tadijanović's poetry carries within itself confessional characteristics. The word does not give up meaning. He called himself „a poet of the heart“. He 'is not sentimental, because irony is present, which means - reason, thought, feeling for measure - his vision of the world. His words grow out of the roots of being, free, simple and natural, like a bird in the sky. In the branches, the ripe ear of wheat will bend towards the earth. U granju, savijat će se dozrelo klasje k zemlji. A poem is a form of fire which is carried from the begin to the end of the world. And fire is life. It changes the darkness into the human world. It warms the palms of the earth so that they do not freeze. A poem is a verificafion of life.